Wednesday nights will never be the same again. 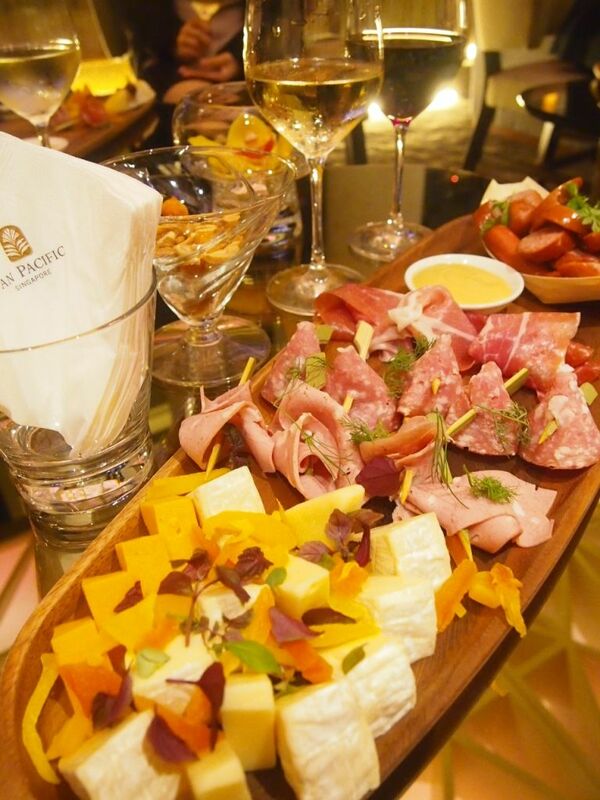 Pan Pacific Singapore has recently launched an irresistible weekly wine and dine affair for ladies. 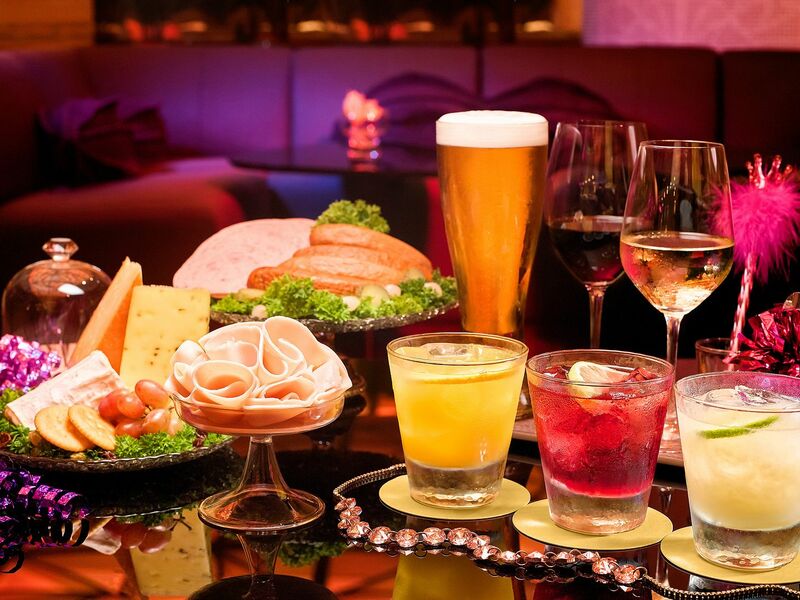 Bring your girlfriends along and tuck into unlimited platters of cheese, charcuterie and gourmet sausages and delight your palate with an endless flow of premium wines, house beers and house spirits. The atrium is elegantly decorated, with an intimate and cozy vibe. Let your hair down as you lean back against the plush sofas with a glass of Chardonnay in one hand and a delectable skewer of sausages in the other and revel in the best company. Enjoy the harmonious pairing of a generous range of cheeses (Camembert, Brie, Cheddar and Edam Cheese) and exquisite filler-free handmade cold cuts such as Chorizos, Virginia Ham and Prosciutto Cotto. The assortment of signature sausages, with a touch of mustard, was a truly splendid treat. Raise your glasses of pristine wines from South Australia and Curico Valley in Chile, mugs of Tiger and Heineken beer or glasses of concoctions with Smirnoff Black, Bombay Sapphire, Banks Rum, Maker's Mark and Johnnie Walker Black Label and toast to a memorable night of girl talk, exuberance and immeasurable fun.